Noise is now a major environmental issue. With exposure to road traffic, rail and airport noise widespread, it’s important to protect your home as much as possible from noise infiltration. Studies show that living with environmental noise can be extremely stressful; it can have a damaging effect on your quality of life and also lead to serious health issues such as high blood pressure and even heart disease. To minimise noise transfer via through-wall ventilators serving boilers, stoves and fires, or providing fresh air into habitable rooms, we recommend using an acoustic ventilator wherever possible. Did you know it’s perfectly safe to ventilate boilers, stoves and fires with an acoustic ventilator? Providing the equivalent area of the vent is adequate for the size of the appliance, a purpose made ventilator with sound attenuating properties will allow a boiler, stove or fire to operate safely and efficiently. Sound reduction vents for stoves, boilers and fires are available in our extensive range of acoustic through-wall sets. Rytons Acoustic AirCore and AirLiner sets provide valuable air flow for the safe combustion of heat producing appliances with the benefit of reducing outside noise ingress through walls. To keep your living areas fresh from condensation, damp, mould, fungi and dust mites, background ventilation should remain open as much as possible. 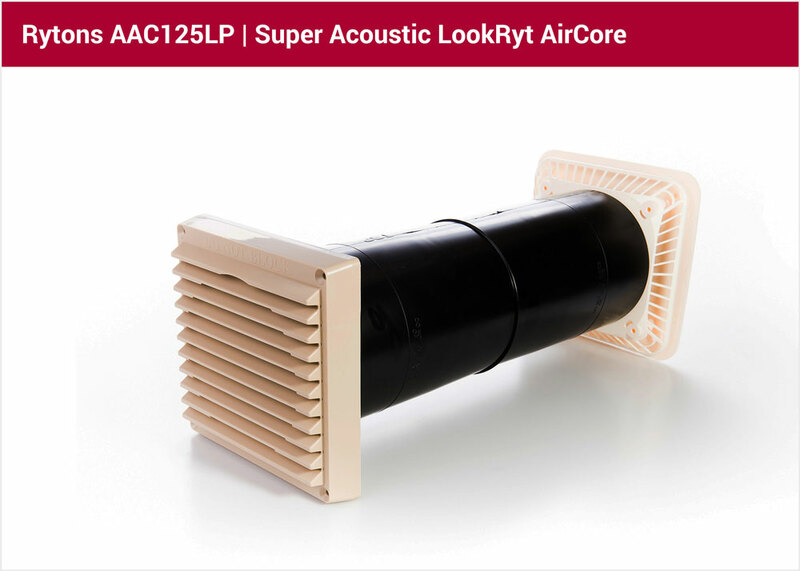 Noise transfer through background ventilators can be minimised with acoustic ventilators such as Rytons Super Acoustic Controllable LookRyt AirCore. All Rytons acoustic background ventilators comply with Building Regulations Document F and have a verifiable equivalent free area plus a BRE measured acoustic dB reduction. We believe sound reducing ventilation shouldn’t spoil the appearance of a home and so our acoustic ventilation options are designed to give you the performance of a noise reducing vent with a look no different to an unsilenced unit. See our range of acoustic boiler, stove and fire ventilators here. 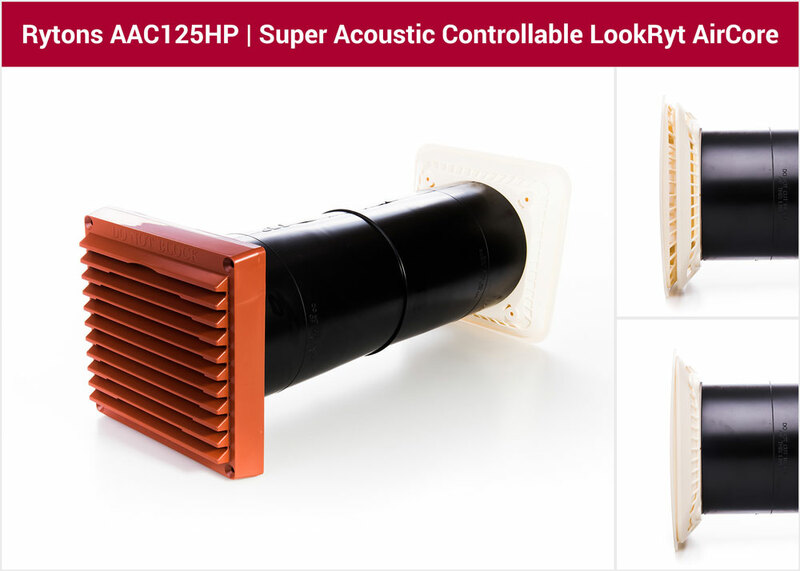 See our range of acoustic background room ventilators here.